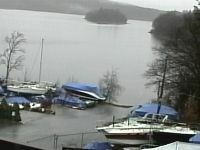 Find photos and information about Marinas in Pennsylvania. Dependable and Convenient Marina in the Heart of Philly! The Piers Marina is one of the most convenient marinas in PA, centrally located as it is near the heart of Philadelphia's Center City. 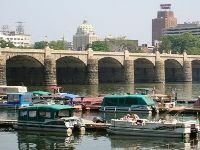 If you live in the city and need to store your boat, or you need a launch point out onto the Delaware River, you can't do better than the Piers Marina. You're never far away from exciting night life and restaurants at the Marina, and yet you're transported to a calmer world on the waters of the Delaware! A map of the Marina, as well as all the information on rates for different vessels is available on their website. The nearby area provides great places to eat, while the marina itself provides a beautiful view of the water you don't want to miss. Make Beach Club Marina Your Getaway Headquarters! 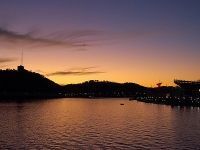 Beach Club Marina is "not just a place to dock your boat," it's a full service getaway headquarters conveniently located on the Monongahela River. 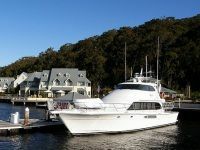 The largest marina on the river (with over 300 wet slips and store, restaurant, and club facilities), Beach Club has helped thousands over the years realize their ideal day on the water. You can picnic in the afternoon after a full morning of swimming, you can enjoy a relaxing view of the sunset while you tuck into a delicious dinner, or you can camp by the banks after you've enjoy your favorite water sports. No matter what you're into, you're sure to find Beach Club is waiting to help you make it happen with affordable rates and friendly customer service; it's definitely one of the best marinas PA has to offer! Enjoy Their Great Service and the Waters of Private Indian Lake! Indian Lake Marina can make your boating dreams come true, whether you're a first time owner, veteran sportsmen, or looking to get behind the wheel of your first craft. Let them handle the hassle for you with their tune-up, winterizing, and storage services, or make your fantasies become reality by hooking you up with a brand-new boat (or one that's been previously enjoyed) for a competitive price. Plus, after you've launched out, you have Indian Lake to enjoy, probably the best private lake in the whole state: you'll have the chance to water-tube, jet-ski, power boat (without a horsepower limit), swim, and more! This is a unique getaway right in Central Pennsylvania. Make Indian lake Marina apart of your boating experience and really enjoy the season this year! Nye's Marina Wants to Make Your Get Away Possible! Conneaut Lake draws visitors from every walk of life to its waters every year for fishing, water-skiing, swimming and more! It could be you this year, and Nye's Marina is there to supply you with everything you need to get away for the season and explore the lake. They do storage, they do repairs, they sell-equipment, they do launches: there isn't anything you want to do on the water, that they can't help you with. If you see yourself "cruising the lake in a Pontoon," or zipping around the shore on skis with the foam in your face, Nye's wants to get you there! Rates are reasonable, and their crew has the expertise and personable service you're looking for. Head down and become part of the family at one of the state's best marinas! The Only Way to Explore the Water Off City Island! Riverside Marina is the best way to launch your boat off of Pennsylvania's City Island right into the waters of the Susquehanna! 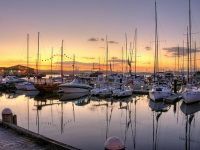 City Island is a peaceful, family-oriented escape from the bustle of Pennsylvania's capital, and the Susquehanna river (and the natural beauty it affords its visitors) is one of the state's greatest attractions. Don't miss this chance to get out and explore with friends, or the whole family! The Marina is right near opportunities to golf, swim, or even take in a game with the Harrisburg Senators baseball team. Whether you're looking to fish the river, chill on the beach, or even jet-ski, make Riverside a part of your next adventure in Pennsylvania! Boating and Fishing at Lighthouse Harbor Marina! 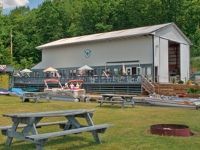 The Lighthouse Harbor Marina is located right on the waters of Lake Wallenpaupack, and offers a variety of amenities and services for all your boat-related needs. Lake Wallenpaupack hosts all kinds of water based activities every year like boating, swimming, and especially fishing (there are lots of bass and trout). 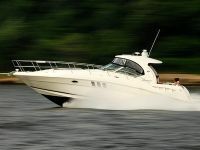 If you're looking for a boat, or you need to store one for the winter or summer, you've come to the right place. The Lighthouse Marina has plenty of space for your boats, as well as accessories and amenities. They're a great launch-point out onto the lake itself, a perfect start for a relaxing day on the water. Beautiful and Serene Marina in PA! 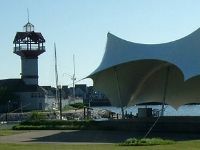 Bay Harbor invites you to experience the beauty of the Erie waterfront for yourself by taking advantage of any of the amenities and services they offer. From boat launches for a day out on the water, to the picnic pavilion where you'll be able to look out over the bay, Bay Harbor truly is "more than just a marina." Their boat inspection services, as well as top-of-the-line security system, will ensure that your equipment is always safe, and ready for you whenever you need it. This is one of the most beautiful and serene marinas in Pennsylvania. Come Check Out The Marina and Lake Clarke! Long Level Marina located on Lake Clarke is a great marina in Pennsylvania from which to base all your water-related hobbies; the Lake draws visitors every year eager to "hunt, hike, picnic, water-ski, sail, fish, and boat." No matter what you like to do on the water, Long Level is ready to help you do it with quality customer service, and all the boating supplies and amenities you need. More information on pricing is available on their website. They also perform any number of boat related services and repairs, so feel free to ask them if you need an expert opinion or a little work done - you won't be sorry! Perry' Landing Launches You Out Over Lake Erie! 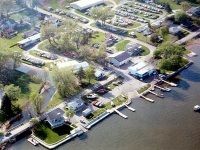 Perry's Landing Marina offers you a perfect launch point out onto the beautiful, sparkling waters of Lake Erie. 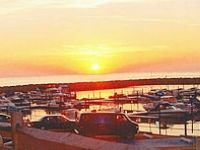 The Marina itself offers all the amenities you need to boat, sail, fish, water-ski, or engage in any of the water based activities you love, while Lake Erie provides some of the world's best fishing over miles and miles of serene water waiting to be explored. 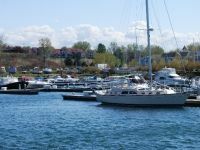 The Marina offers competitive prices on storage and docking facilities, and more information, (as well as pictures of Lake Erie) are available on their website. This is a visit for the whole day waiting to happen: fish in the morning, sail the afternoon away, and have a relaxing dinner at the restaurant in the evening! Voted Number One in the Nation! Seven Points Marina, currently the largest in the state, was voted Marina of the Year by Marina Dock Age Magazine in 2010. Right on beautiful Raystown lake, both the marina and the lake draw thousands of visitors every year looking to engage in their favorite activities, from boating, to water skiing, to picnicking by the banks, to swimming, and more! They have room for your fishing boat, or your houseboat. No matter what you're looking to do, you won't find a marina in the state better prepared to serve your needs; the natural beauty of Raystown Lake calls! The North East Marina in PA Has The Full Package! The North East Marina is a full service marina that offers amenities and services to facilitate any of your favorite water-based activities. If you're looking for storage, your own slip, any boating accessories, or a place to picnic or fish, the North East marina has what you're looking for. 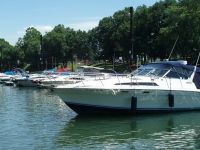 You won't find complete service like this at just any marina in Pennsylvania; NorthEast wants to help you plan a full day around the beautiful water. They do boat repairs, they'll sell you rod, reel and bait, and they'll even cook you an excellent dinner at the CrayZ Parrott Restaurant; the North East Marina has it all! Whether you want to winterize your boat, or refuel, let the North East Marina take care of your boating needs. Family Owned and Operated Marina in Pennsylvania Since 1969! 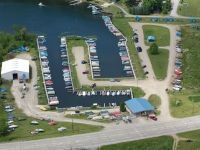 Yough Lake Marina, family owned and operated since 1969, offers boaters high-quality customer service, as well as premium access onto the lake. 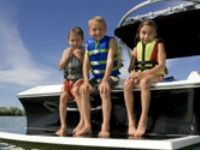 Give them a try and store your boat (winter or summer), purchase any number of boating accessories (including fuel), or even rent a boat or other equipment for the day, and enjoy life for a while out on the inviting water of Yough River Lake. Their docking fees are reasonable and competitive. Don't forget that thousands come to the banks of the Yough River Lake every year for swimming and picnics too! 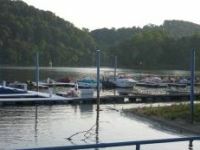 Yough Lake Marina is one of the best marinas in PA for all your favorite water-based hobbies. Let Washington's Landing Worry About Your Boat So You Won't Have To! Get your boating season moving with the help of Washington's Landing, "Pittsburgh's only full service dry stack valet warehouse and marina!" You won't find this kind of service in Western PA anywhere else! They'll store your boat, fix it, tune it, winterize it, and worry about it, so you don't have to. Best of all, whenever you want to take it out onto the Allegheny River it'll be right there waiting for you. Zip over after work on Friday for a cruise around, or spend your whole weekend exploring the water with friends or family. They offer security and convenience that are unbeatable for affordable prices. There's no need to leave home to find peaceful respite from the hustle of Pittsburgh, just let Washington's Landing Marina work for you! Cheswick Marina Invites You to Enjoy the Beauty of the Allegheny! C. J. Miller, owner and operator of Cheswick Marina, wants to help you share in his love of the Allegheny by providing you everything you need to get out and explore! His marina has over a hundred slips, plus all the facilities and amenities you need to enjoy your trip out. Best of all, it has the family-friendly atmosphere you're looking for! Their picnic area facing the horizon is the perfect place to watch the sun go down, while you grill a little dinner after a full day of smooth sailing. This is no gruff seaman's wharf; this is a place where people who have a real love of being near the water's natural beauty can come to enjoy it - and C. J. and his crew are sure you're going to love it too. Don't hesitate, the Marina's waiting! Your Resource for Fishing Adventures in PA! Anchorage Marina wants to get you out of your car and onto the water by offering the most convenient service on the Delaware River. All the amenities you'd expect like security, efficiency, and reliability are a part of their package, as are on-site Fish and Game Commissioners, stations to stock up on water and re-fuel, and even year-round storage on the water. This makes Anchorage probably the best marina on the river from which to launch your next fishing adventure; see yourself loaded up with buddies or family, out on the water, rod and reel in handle, experiencing the natural tranquility, but never far away from the quality service of experts and enthusiasts just like you. They're conveniently located near Philly, so don't plan your next fishing trip without calling Anchorage Marina! Family Owned and Operated For Over a Century! Fox Grove Marina has been serving customers since the 19th century, and has a well-established reputation for quality and excellence that you'll want to try for yourself. Operating right off the banks of the Delaware River, Fox Grove is the perfect launching point for a day of fishing, zipping around in your sports boat, or taking a leisurely drift down the river to sail the day away. Plus, you can always be secure in the knowledge that your boat is in good hands; their on-site technician Jim LaChance has over half a century of experience working with boats, so he'll keep your craft in tip-top shape. Let Fox Grove store and winterize your boat, so they can handle all the headaches, and save the hours of fun for you. Check them out today! 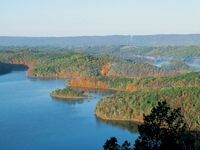 Rosston Eddy is A Boat-Lover's Paradise! 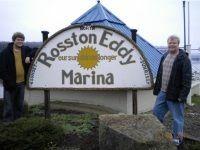 Rosston Eddy Marina is waiting to help you achieve a perfect day on the Allegheny that you'll never forget! Their all inclusive services range from their fully-equipped pro shop where you'll be able to purchase everything you need (and always wanted for your boat), as well as all the slip and dock space you need to store or moor it. Best of all is the view: whether you're going to wander he esplanade and see the sunset, visit the grill, the hot tub, or the tiki bar, you'll never be more than a few feet away from the slow, gentle current of the water, or a vantage from which to see the sun slip down over the horizon. Fishing, kayaking, water-skiing, swimming, or just drifting - Rosston Eddy can make it happen! 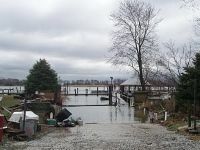 Family Friendly and Convenient Marina in PA! Newport Marina is a family owned and operated business, just minutes away from Point State Park in Pittsburgh. Their convenient location and flexible services mean that they can accommodate anyone's plans, whether you want to boat for the day, store your family's vessel, or picnic in the park near the water. Launches for boats and wave runners are cheap, and kayaks are free! Don't hesitate to take advantage of their services to get away from the city for a while. Whether you've always wondered about exploring the river, or you're a seasoned pro, Newport Marina in Pittsburgh is waiting to help make your dream day on the water a reality! Wake Board on Lake Wallenpaupack At One of the Best Marinas in PA! Sterling Marina on Lake Wallenpaupack is an adventure waiting to happen with one of the state's premier boat show rooms (for those who want to make their dreams of boat ownership come true), and a full service marina for those who want to keep their boats close to all the action of Lake Wallenpaupack. Their pro-shop and service experts will outfit you and your vessel with everything you need (and always wanted) to enjoy the waters that bring thousands of tourists from PA and neighboring states every summer! Here's what you'll find at Sterling that you won't almost anywhere else: wake-boarding lessons for the beginners, and even a team for the experts. Learn how to fly through the waters, experience the wind through your hair, and definitely don't miss out on all the action of one of the world's fastest growing water sports! Rick's Is The Place to Launch an Adventure! 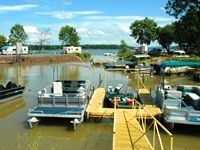 Rick's Marina and Campground is the fun and affordable way to explore the waters of the Susquehanna River. Whether you're looking to keep a pontoon for a whole season at one of their three basins, or you just want to launch your fishing boat for the day, Rick's is equipped to accommodate you. They'll rent for any amount of time: a day, a week, a month, the whole season; that same flexibility carries over into their fair prices! But Rick's isn't just a Marina - it's a place to picnic with the family, a place to fish, swim, and enjoy the Susquehanna like the thousands that visit it every year. If you're looking to explore the outdoors in Pennsylvania, don't hesitate to call Rick's!